The National Coalition of Anti-Violence Programs released their assessment of anti-LGBT violence for 2011. The report shows that the murder rate among LGBT Americans rose by 11% even as reported hate violence declined by 16%. There were thirty LGBTQ murders in 2011. 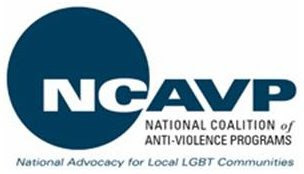 National Coalition of Anti-Violence Programs (NCAVP), in a national audio press conference today, released its report Hate Violence Against Lesbian, Gay, Bisexual, Transgender, Queer and HIV-Affected Communities in the United States in 2011. NCAVP collected data concerning hate violence against lesbian, gay, bisexual, transgender, queer and HIV-affected (LGBTQH) people, from 16 anti-violence programs in 16 states across the country including: Arizona, California, Colorado, Georgia, Illinois, Kansas, Massachusetts, Michigan, Minnesota, Missouri, New York, North Carolina, Ohio, South Carolina, Texas, and Vermont. Transgender women made up 40% of the 30 reported hate murders in 2011, while representing only 10% of total hate violence survivors and victims. This was comparable to last year’s report where transgender women made up 44% of the 27 reported hate murders, reflecting a two-year trend toward disproportanate and severe violence faced by transgender women. NCAVP documented a 16% decrease in hate violence incidents from 2010 to 2011 but an 11% increase in murder. This year many NCAVP members saw a decline in reports of violence linked to a corresponding increase in murders. “In Detroit, an increase in the severity of violence and particularly murders made it challenging for us to find the capacity to do outreach which can lead to a decrease in reports,” said Nusrat Ventimiglia at Equality Michigan. This increase in murders consumed a great deal of organizational capacity. “NCAVP members across the country have spent a tremendous amount of time and resources responding to murders and the tragic, ongoing suicides of our LGBTQ youth,” said Rebecca Waggoner from OutFront Minnesota in Minneapolis, Minnesota. The 2011 report also highlights a number of disturbing trends concerning the severity of violence experienced by LGBTQH people. This year’s report shows that LGBTQH youth and young adults between the ages of 18 and 30 years old were 2.41 times as likely to experience physical violence compared to LGBTQH people age 30 and older. As in the case of the murder statistics, transgender people and people of color were more likely to experience physical injury in a hate violence incident. The report found that transgender people were 28% as likely to experience physical violence compared to non-transgender people, and that LGBTQ people of color were two times as likely to experience physical violence compared to those who were not LGBTQ people of color. McDonald's Beating Caught on Tape: Was it a Hate Crime?